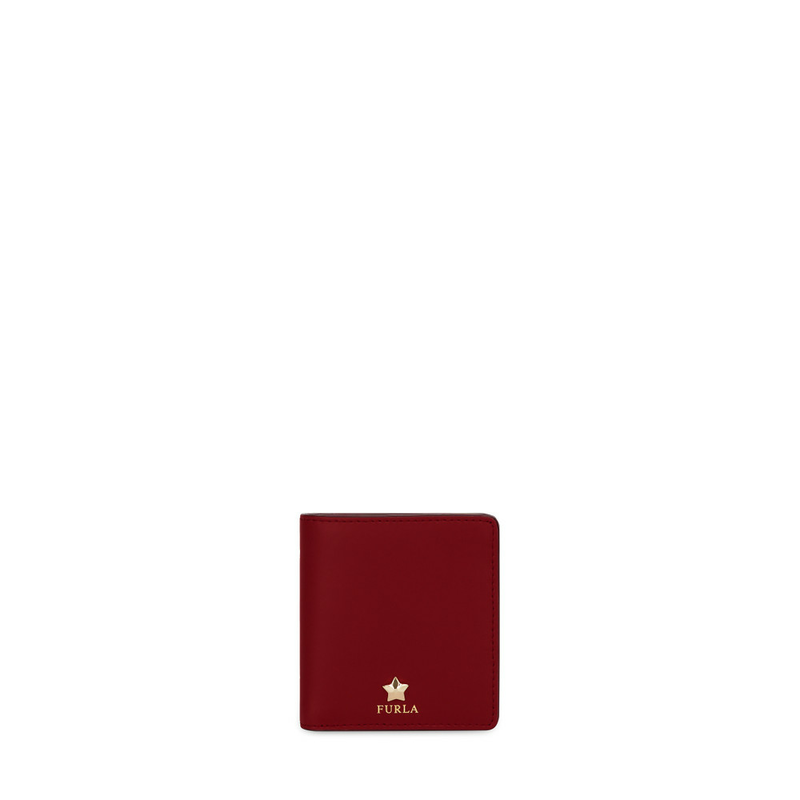 The Furla Alya Bi-Fold wallet in smooth leather is embellished by a small star-shaped metal stud. With a compact design, it features one bill compartment, four credit card slots, four inner compartments and one outer zipped coin pocket. Orders placed before 2pm on weekdays will ship that same day. Enjoy free returns on all eligible orders. Just return your package within 14 days of receiving it. Furla offers a one year of warranty on all products purchased online. We will also gladly recommend a repair shop when your warranty expires. To ensure the safety of your credit card data at all times, we use Secure Socket Layer (SSL) technology and the highest security standards. Every product is labelled with optimal care instructions. Please read them carefully. Alternatively, you can always contact our customer service if in doubt.